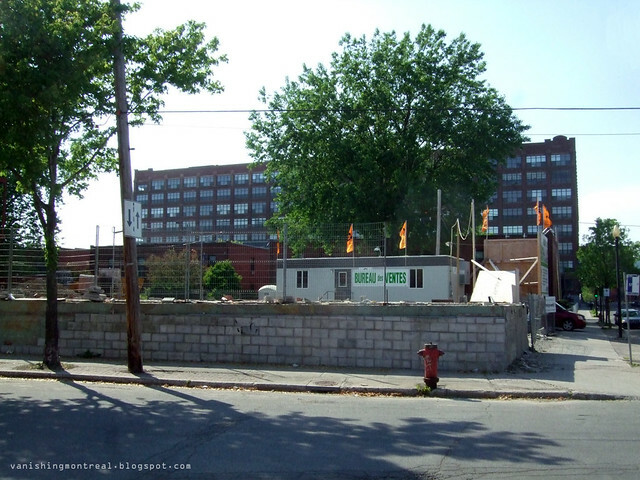 New condo projects just a few blocks away from where the Mac Clinic (next post below) was in Pointe-St-Charles. 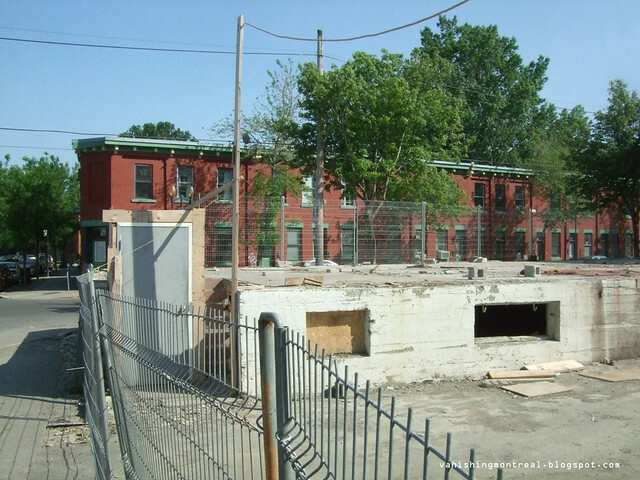 There used to be a garage/business there (photo below or view google streetview). 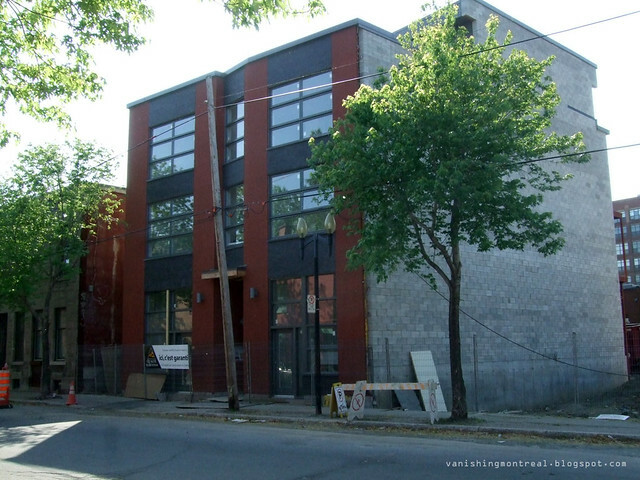 The last photo shows a completed condo building that was built in the yard next of said garage/business.